Green build India 2017 FUTURE | Parametricsolution - CAD / CAM / FEA / CNC / HVAC / MEP Training Institute in Thane, Mumbai, India.Parametricsolution – CAD / CAM / FEA / CNC / HVAC / MEP Training Institute in Thane, Mumbai, India. 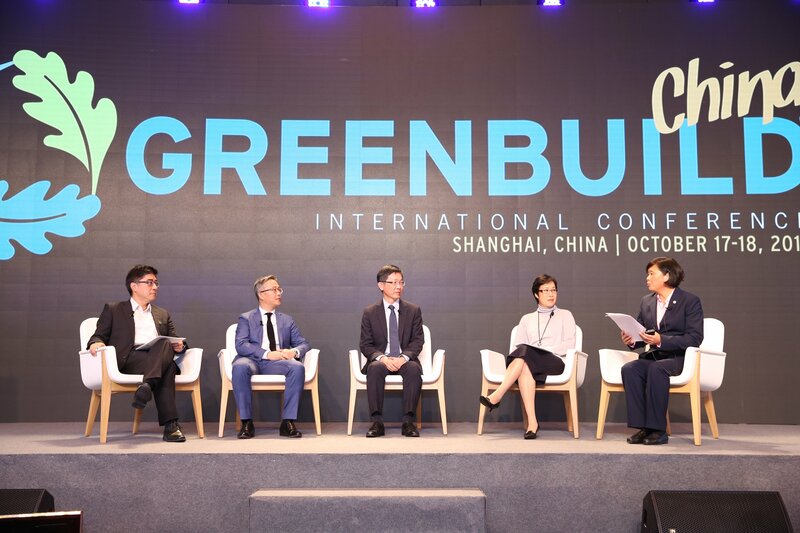 Greenbuild China convened hundreds of green building professionals in Shanghai for education, networking and inspiration. 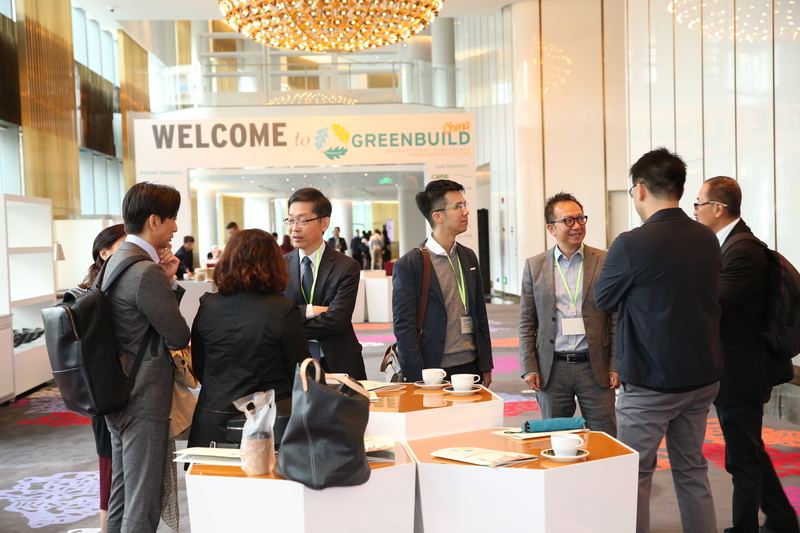 Just last week, the Greenbuild Conference made history by holding its first Greenbuild in Asia. Greenbuild is the place where those who are connected to the green building movement, from architects to developers to product manufacturers, come together to discuss what is new, what is needed and what is on the horizon. Greenbuild China 2017 followed in this tradition, yet provided a new forum for the award-winning event, convening hundreds of green building professionals and stakeholders in Shanghai at the W Hotel for three days of workshops, education, networking and inspiration. China’s sustainability journey has been one marked with incredible achievements. China currently stands as the one of the top markets in the world for LEED, second only to the United States. Additionally, over 3,000 LEED-credentialed professionals work or live in China. The exponential growth of LEED in China provides critical help in mitigating the effects of climate change and positively affects the health and well-being of millions of people. There are over 1,100 certified LEED commercial projects in mainland China, Hong Kong and Macau. And this is just the beginning. 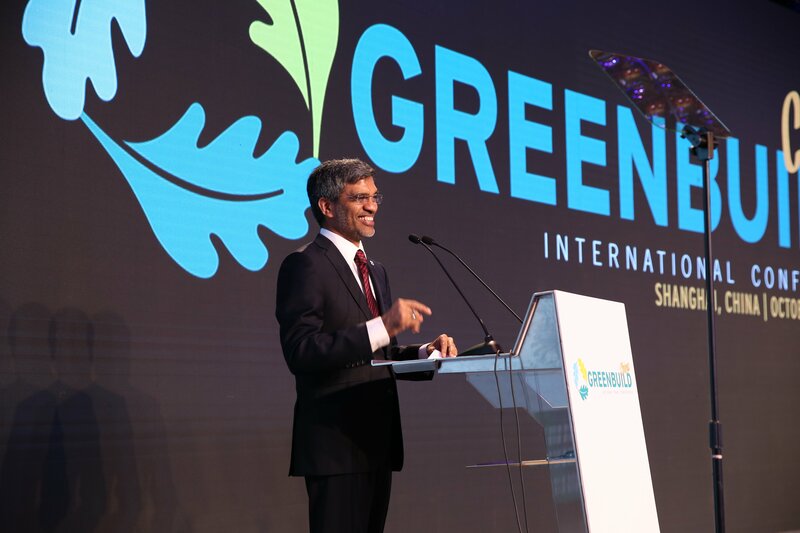 During his keynote address, Mahesh Ramanujam, President and CEO of USGBC and GBCI, reflected on the incredible speed and growth of green building in China, remarking that this is a product of the values that are so key in Chinese culture – warmth, caring and human connections. Greenbuild China was an incredible experience that brought together speakers and guests to share ideas. The plenary keynote address was delivered by Rick Fedrizzi, Chairman and CEO, International WELL Building Institute, and was followed by an acknowledgment of some of Greater China’s newest and most notable green building projects: those certified in 2017 as LEED Platinum, and those certified under other green building rating systems, including WELL, EDGE and Parksmart. Linda Hu CEO, Shanghai GreenCity Architectural Co. Ltd. This was also a time to thank and acknowledge the organizations and professionals with LEED or WELL credentialls working every day to make green building a reality in China. If you missed Greenbuild China, you still have two more opportunities to attend Greenbuild in 2017. Join us at one of the remaining events in Boston and India.